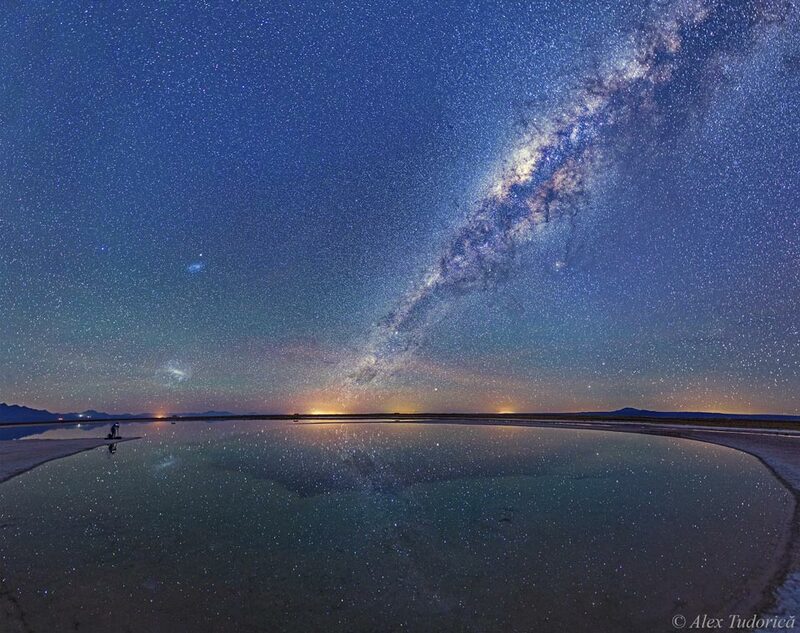 Explanation: Galaxies, stars, and a serene reflecting pool combine to create this memorable land and skyscape. 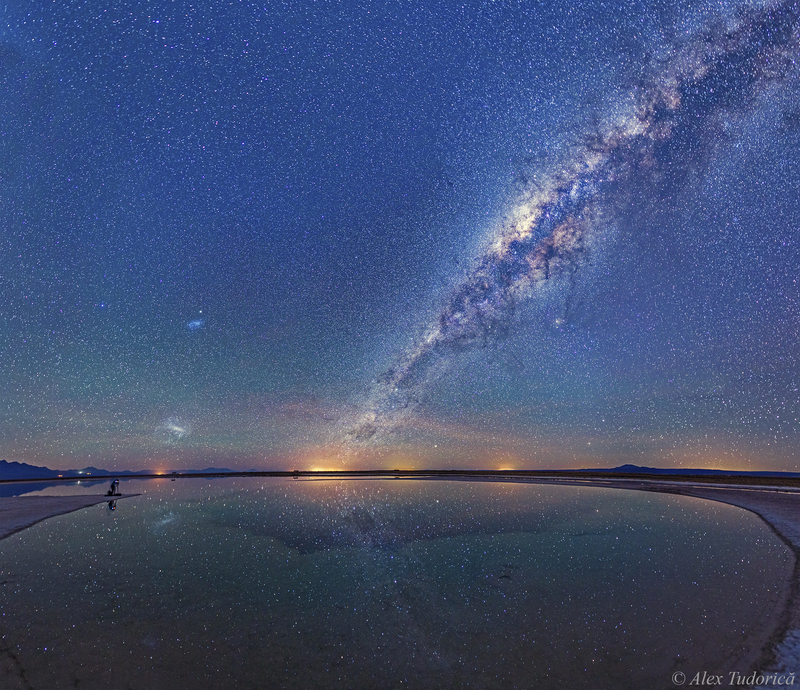 The featured panorama is a 12-image mosaic taken last month from the Salar de Atacama salt flat in northern Chile. The calm water is Laguna Cejar, a salty lagoon featuring a large central sinkhole. On the image left, the astrophotographer's fiancee is seen capturing the same photogenic scene. The night sky is lit up with countless stars, the Large and Small Magellanic Cloud galaxies on the left, and the band of our Milky Way galaxy running diagonally up the right. The Milky Way may appear to be causing havoc at the horizon, but those are just the normal lights of a nearby town.